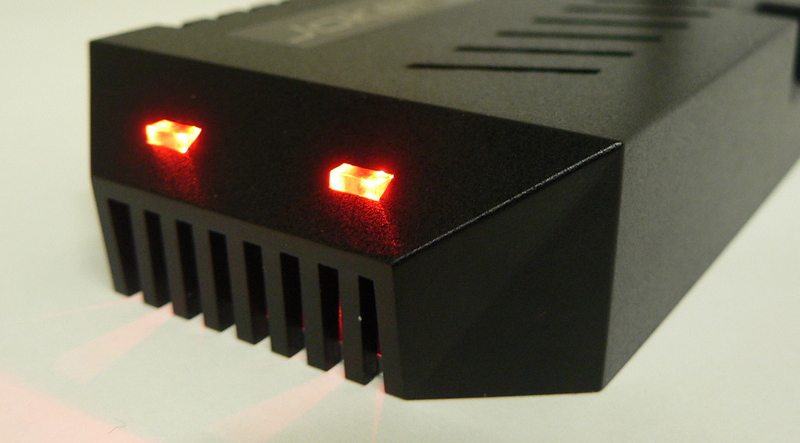 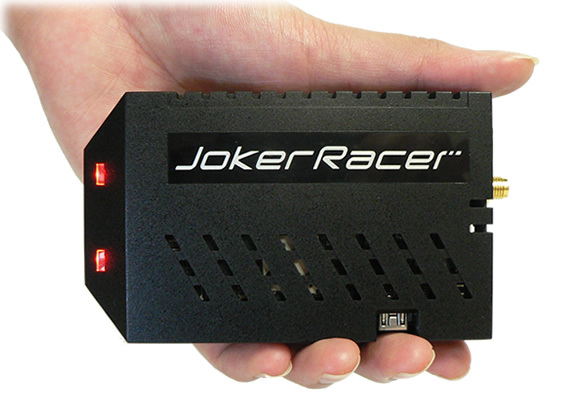 Joker Racer R/C Server is a small-sized and power-efficient linux server designed for radio control cars. 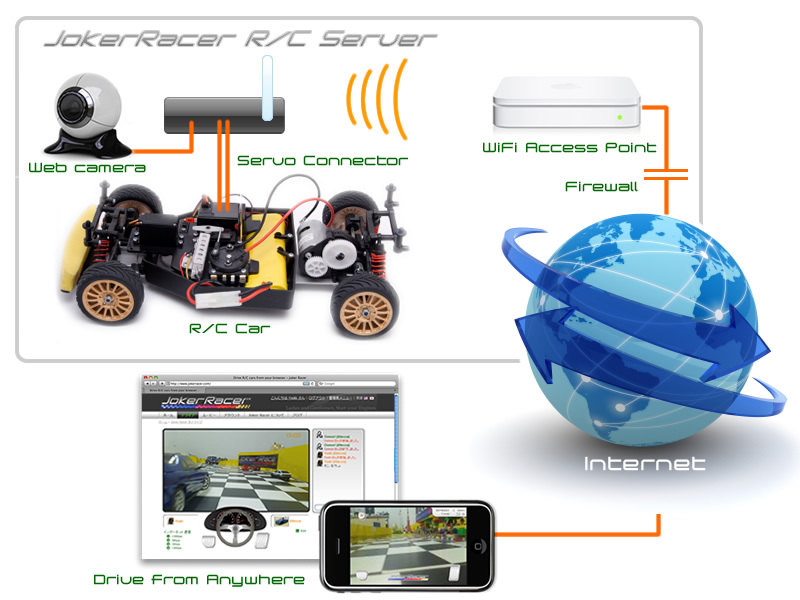 You can drive your R/C cars over the internet with your browser by connecting the store-sold web camera and the standard servo/speed controllers of your R/C car. 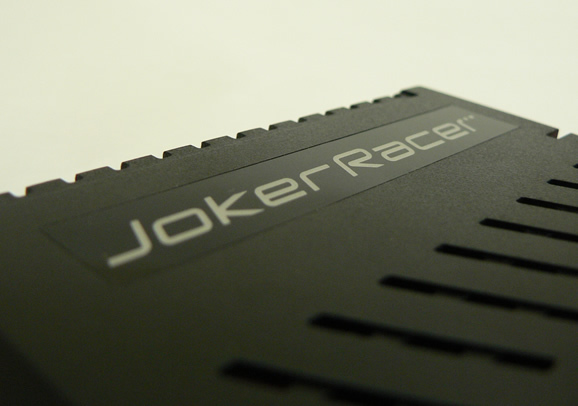 Note: iPhone application will be released in 2010. 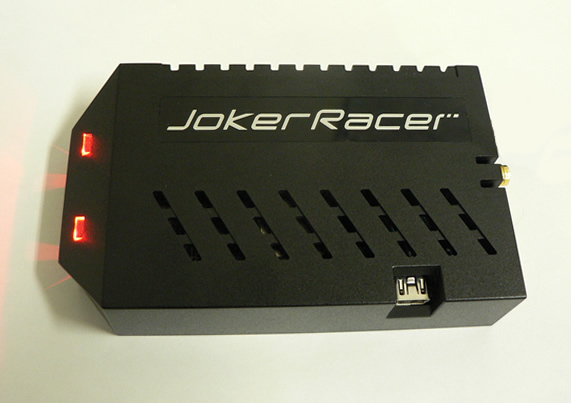 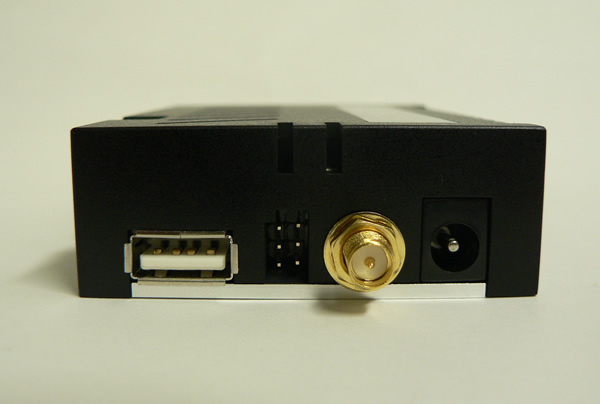 We will make Joker Racer R/C Server publicly available early next year so that you can visit somewhere you actually can not visit by the aid of other user who has this gadget at the right place.